More Like Home: Kimberly's Kupboard GIVEAWAY!!! We have a really fun giveaway for you today, courtesy of Kimberly's Kupboard! 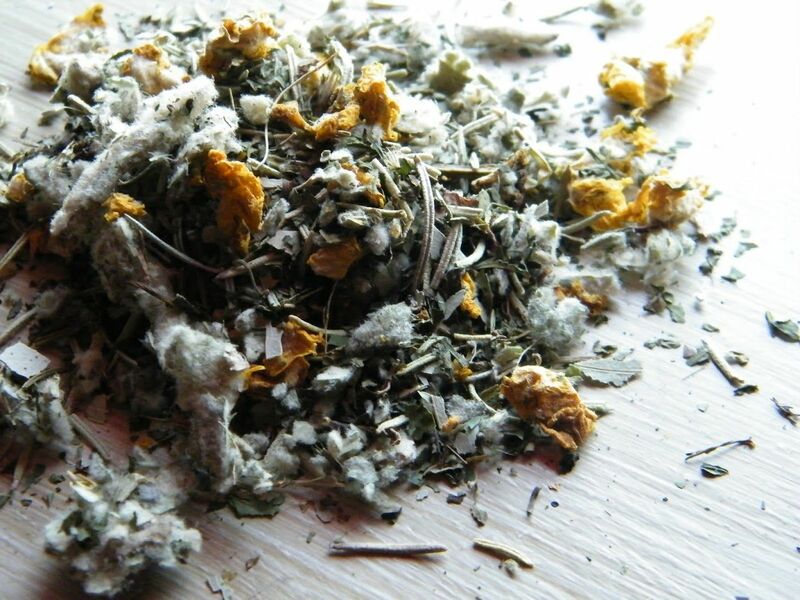 Kimberly's Kupboard offers a variety of all-natural herbal teas and salves that we love to keep on hand. 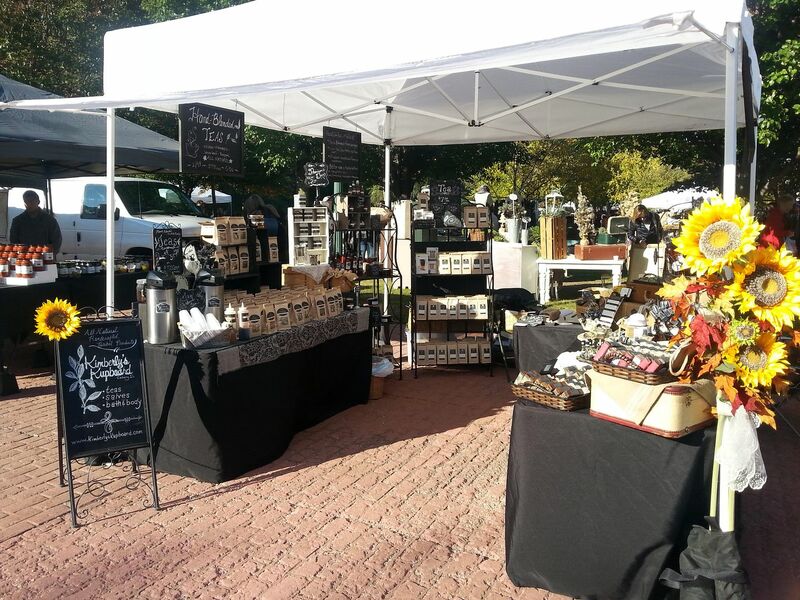 The products include soaps, salves, teas, tinctures, and more! They cover everything from bumps and bruises, to pregnancy, to bug bites, to congestion and colds... there's something for everyone. 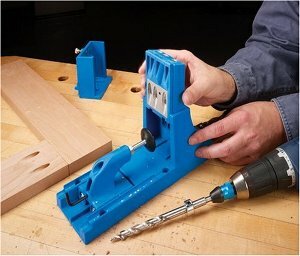 Today we'll learn a bit about the company, share the products we use most, and you can enter to win on of our favorites! We discovered Kimberly's Kupboard last summer at a local farmer's market and have been thrilled with the all-natural products she offers. Being DIY-ers, I do sometimes make my own natural remedies (my go-to's are elderberry and echinacea syrups, and GOOT). Making a few of my own remedies has made sense, but the huge variety of ingredients I would need to make so many different remedies, plus the time it would take, definitely does not make sense for me. That's why I was so excited to find these products to fill in the gaps in our "medicine" cabinet! Thank goodness for Kimberly! 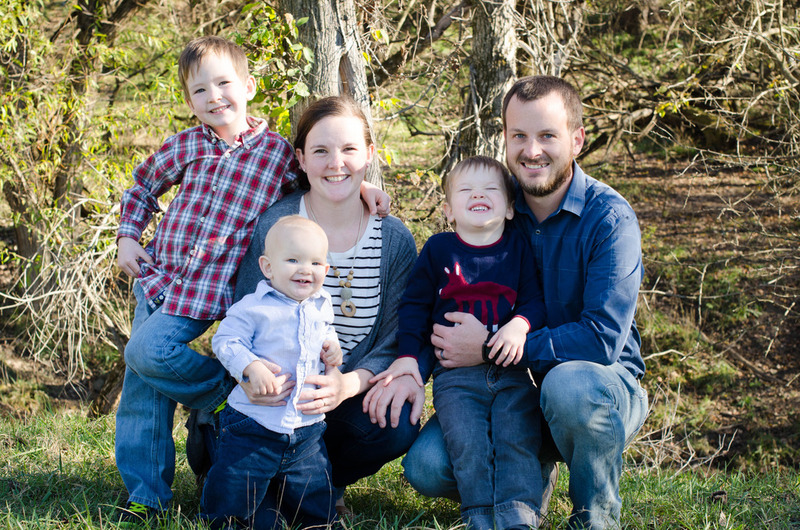 "I'm a stay-at-home mom of 3 busy, homeschooled kids. I love working with herbs and I am continually learning about new uses for them. 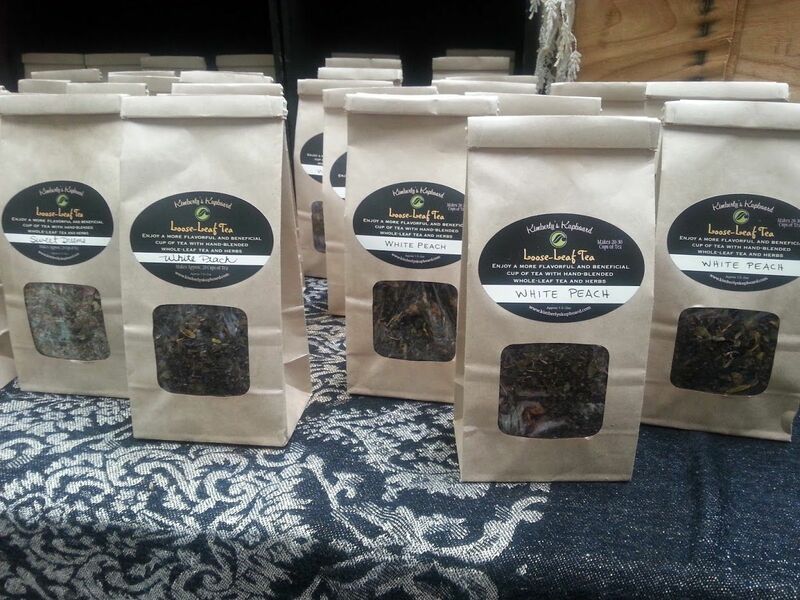 My driving passion is for people to enjoy herbs and learn all about their wonderful benefits!" "I wasn't looking to start an herb business, really. I had been making my Chickweed Salve for just our own use and had been extremely impressed with the results I was getting, so I developed more salves that had different purposes. One day, I just casually mentioned to a lady farmer who owned a little farm store that I was toying with the idea of making my herbal products to sell. She immediately said, "Bring me some samples!". And so then it just took off from there. I designed my herbal tea line, my herbal salves, the packaging and it just all came together. I'm finding that people are desiring to get away from conventional medicine and back to the natural ways our predecessors used to treat their common ailments. People are wanting a healthier, eco-friendlier and more affordable way to treat themselves. I am so excited to be bringing the world of herbs to my customers!" So not only will you get amazing, natural products for your home and family, you'll also be supporting a small business WHAM at the same time! 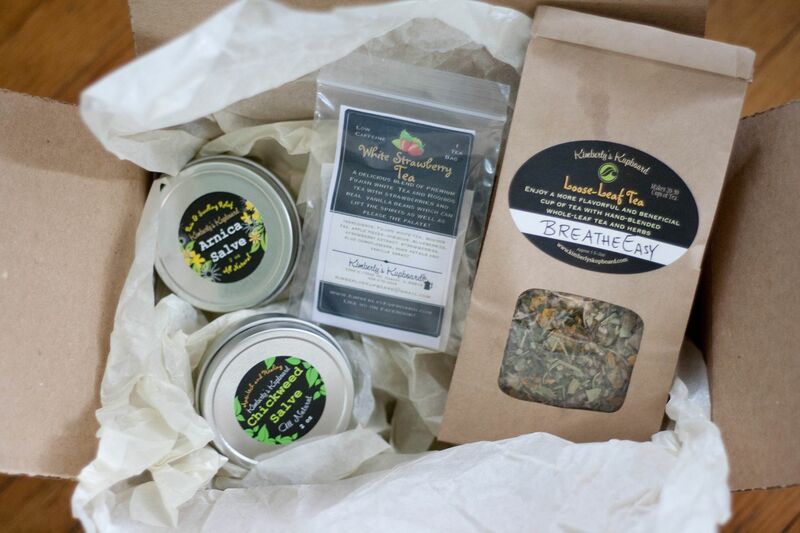 My latest box of goodies, including a free sample of her new white strawberry tea! If you're looking for a good place to start with herbal products, my personal favorite is the one that started it all - the Chickweed Salve. We love having this on hand (I just had to order more because we lost ours on vacation this summer!). Our favorite use for this salve is summer time bug bites, but it's great for anything itchy like stings and rashes, too. 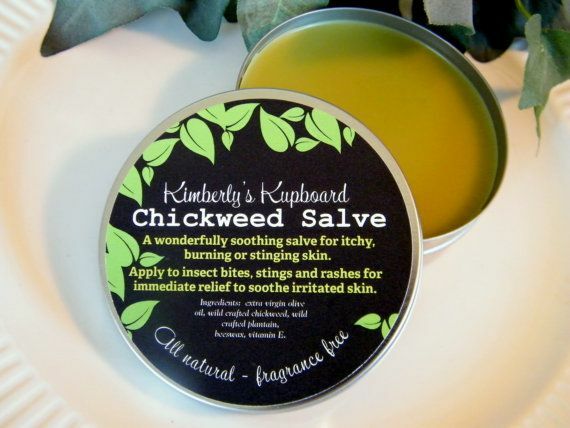 We never leave home without our Chickweed Salve! This Arnica Salve just came in our newest order. I've heard it's great for bruises, sprains, and muscle pain, so we're excited to give it a try for a certain rough-and-tumble two year old. The elderberry infused honey is another favorite that we always have on hand, especially in winter. It's shelf-stable (unlike my elderberry syrup) which makes it great to take on our travels, plus it lasts a long time without spoiling. We'll have a spoonful when we're under the weather, and we've been loving it mixed in tea or spread on toast for an extra immune system boost. I haven't tried the lemon verbena yet, but after looking at this picture a few times I can tell you I'll be getting some with my next order. It calls to me with lemony goodness. Next up is a little something I like to call "mama's tea." Because it's mama's so don't even touch it. I love peaches, and this White Peach Tea really hits the spot. It's light and peachy and wonderful. I like to add a spoonful of honey, because I'm a sweet-tea kind of girl. So yummy! We just ordered this Breathe Easy Tea in my latest order. One of our boys get so congested when he catches even the slightest cold, and this is made with a blend of herbs that are supposed to help with both respiratory and sinus congestion. Here's hoping it brings him a bit of relief next time he's feeling ikcy! There are a few other teas I'd love to try, like the Organic Allergy Tea, Immune Booster tea, and Very Berry Tea with Hibiscus (plus she has a mommy-to-be tea that looks great for all you pregnant momma's). I prefer the loose leaf tea, but you can also select pre-bagged... if that's your cup of tea. Just working on my mom-puns. 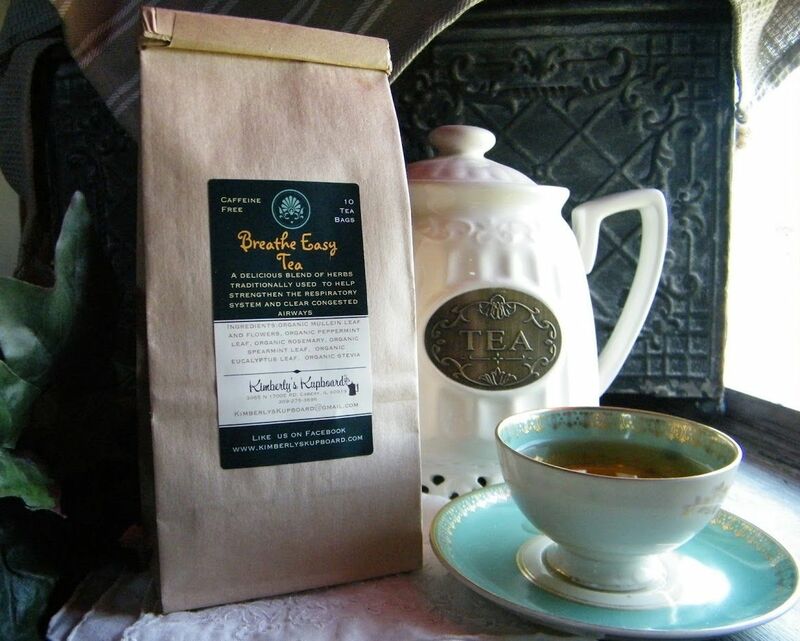 Breathe Easy loose leaf tea. Besides these items, there are a whole range of other products I haven't tapped into but I'm planning to try. I'm super excited about the bug spray, oregano salve, handcrafted soaps, echinacea tincture, several items from the skin care section, and a sweet little herbal baby bath set (I'm thinking it would be a wonderful baby shower gift paired with a set of homemade flannel blankets!). Now that you've seen our favorite products, it's time to win one for yourself! 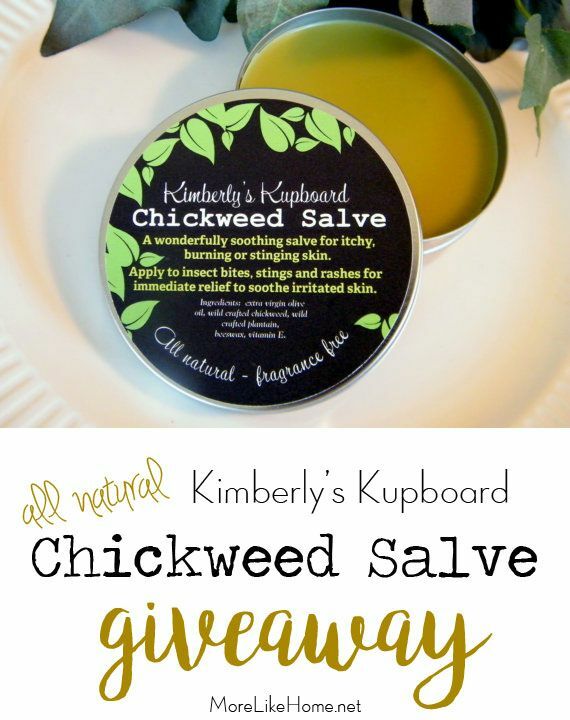 Use the Rafflecopter form below to enter to win a 2 oz tin of chickweed salve! And don't forget to stay up-to-date with Kimberly's Kupboard by following her on facebook, instagram, and pinterest! 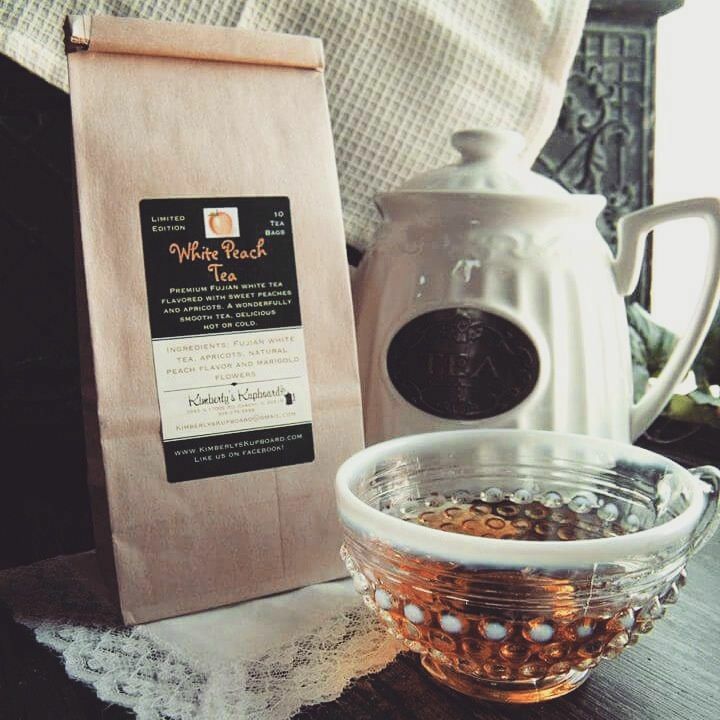 I am excited to try her loose leaf tea blends as a gift for my tea-loving husband! The lavender mint facial cleanser sounds lovely! 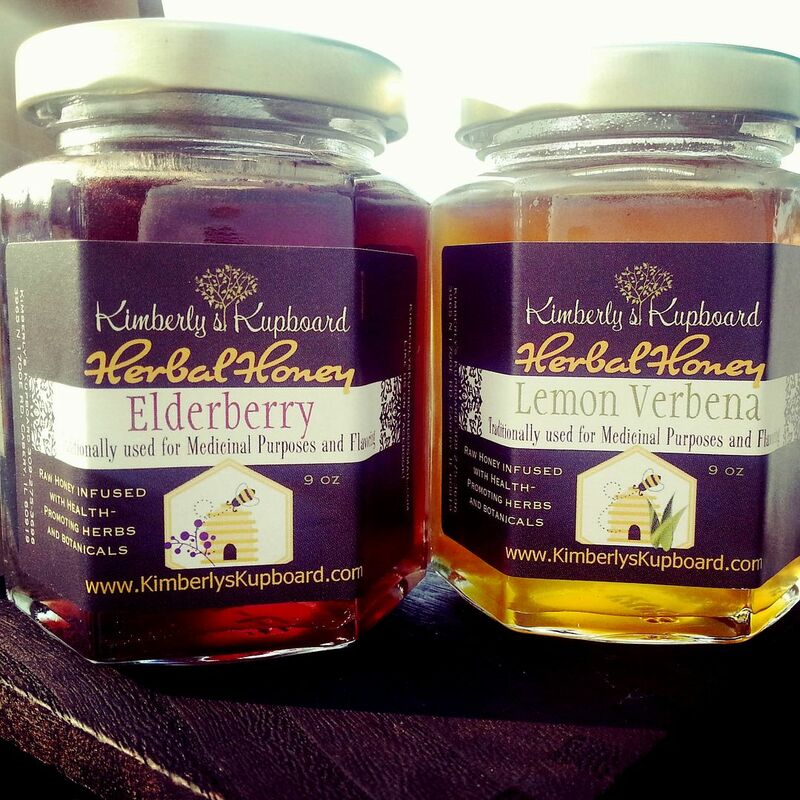 Everything Kimberly sells looks amazing, but I'd really like to try the Elderberry honey! 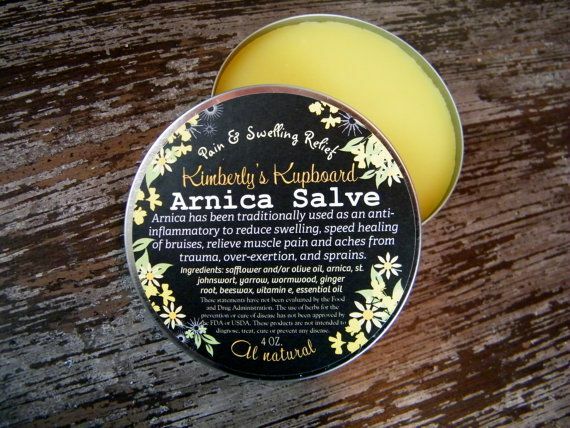 I'm most excited about the Arnica Salve. I would like to try the arnica salve and coconut oil and shea butter lotion. I'd love to try the Chickweed Salve and some of the teas! I'd like to try the lemon verbena honey!